Most of Ted’s heads have benign expressions. All of them have a haunting quality that to us links them to those spectral figures that emerged in so many parts of the ancient world. 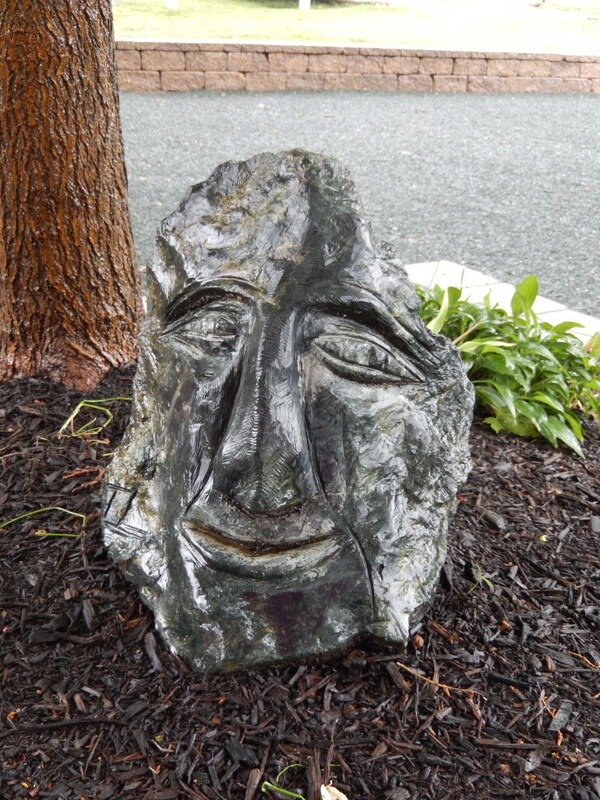 Ted laughs: “Some people say my faces remind them of Easter Island.” He forms faces mainly from sandstone, basalt, and granite, and some from alabaster, and blue-green Vermont marble. Ted’s work is widely sold in New York City and is permanently on display at Baltimore’s prestigious American Visionary Art Museum, which showcases the work of Grandma Moses and dozens of other less-known artists. 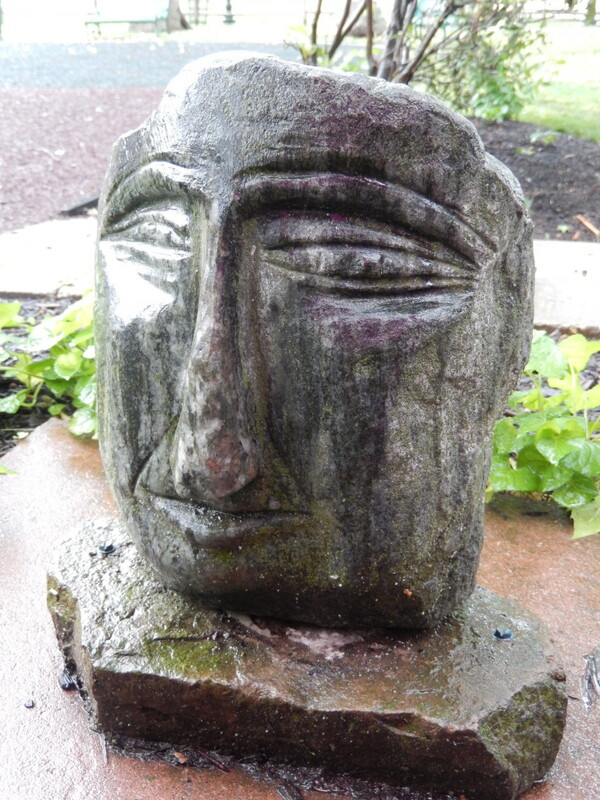 The Garnerville Art and Industrial Center near Haverstraw, New York prominently features his stone heads. We are proud to have five of them on display in Leonia at the Wood Park area. Five Heads has been generously donated to the Borough of Leonia.